The most recent assault against the marketing strategies of the telcos comes from the Advertising Standards Authority (ASA), with the group ruling Sky’s push to suggest customers would be able to receive stronger wifi signal throughout the house because of its routers, was misleading. The campaign features characters from ‘The Incredibles’ franchise, running across TV and through mainstream press. The campaign was originally challenged by BT and Virgin Media, with both suggesting the claims were misleading as there was no way to substantiate the assertion. And the ASA agreed. In some cases, Sky’s router might be able to improve wifi signal throughout the home, but due to the breadth of different homes, each with their own structural design, it is an impossible claim to justify. The ad was far too generalist and deemed misleading. “Unfortunately for Sky, its promise of a strong wifi signal all over your house has been shown to be misleading, and while it is by no means unique in falling foul of the ASA, it will be stung by this ruling the regulator has upheld against it,” said Dani Warner of uSwitch.com. This is an area the ASA has been quite hot on in recent years; telcos should not be allowed to make such generalist claims, intentionally misleading customers over performance. Especially in an age where advertising can be personalised on such a dramatic scale, at best it is lazy and incompetent, at worst it is directly and intentionally lying. What is worth noting is that Sky can potentially boost signal throughout the home, though additional equipment would be required to make this possible. This is not mentioned during the advertising campaign however. The ASA ruled that some of the claims made in the ad could be substantiated, however it is no longer allowed to run in its current form. This is of course not the only area where telcos are being challenged in the world of advertising. ‘Fibre’ claims are another, the ‘up-to’ metric has been removed and the telcos are being forced to detail speeds during peak times. Another factor to consider is the up-coming 5G service. Do any of the telcos have a clue how they are going to sell the service to consumers, as we do not believe the idea of ‘bigger, faster, meaner’ will not work, at least for the first few years. Starting with the ‘up to’ claim, this is one which plagued the consumer for years. Masses of customers were duped into buying promised services which could only be delivered to a fraction. Thankfully, the ASA changed rules, forcing the telcos to be more accurate in how they communicate with potential customers. Not only did this ruling mean the ‘up to’ claim had to be avoided, but it also forced the telcos to claim speeds during peak times. This also more readily informs the consumer of services which they are likely to experience, as opposed to the dreamland which most telcos seem to think we live in. The term ‘fibre’ and ‘full-fibre’ has also been challenged, though telcos can still get away with some nefarious messaging. Irrelevant of whether there is fibre in the connection, and there generally always will be at some point, the ‘last mile’ is where the difference is made to broadband speeds. If it is copper, you will never get the same experience as fibre, however, telcos are still able to mention fibre in advertising. The ASA has done some work to clear this up, in all fairness, though we still feel there is opportunity to abuse the trust of the consumer. And the telcos have shown that when there is an opportunity to be (1) at best lazy or (2) at worst directly misleading, they will take it. The final area which we want to discuss takes us into the world of mobile and 5G. The telcos have always leant on the idea of ‘faster, bigger, meaner’ to sell new services to customers, or lure subscriptions away from competitors, but 5G presents a conundrum for the marketers; do consumer need faster speeds right now? 4G delivers a good experience to most, and if it doesn’t, there generally is a good reason for this (i.e. congestion, interference, remote location, indoor etc.). 4G will continue to improve both in terms of speed and coverage over the next few years, and as it stands, there are few (if any) services which supersede what 4G is or will be capable of. Another factor to consider is the price. Many consumers will want the fastest available, even if they don’t need it, but the premium placed on 5G contracts might be a stumbling block. 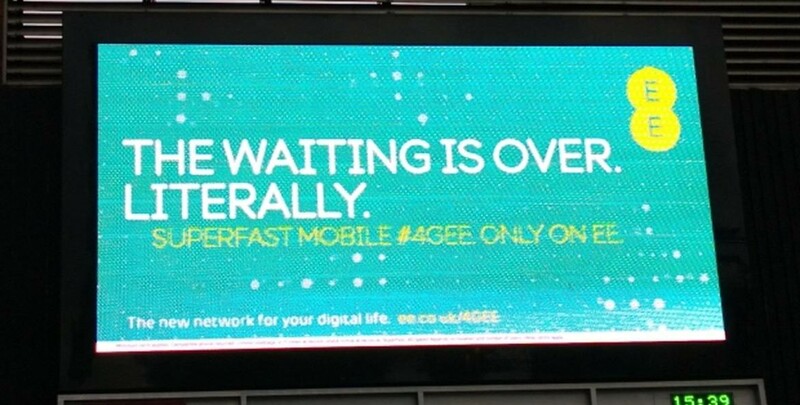 EE has already hinted 5G will be more expensive than 4G, though details have not been released yet. In the handsets segment, consumers have shown they are more cash conscious, especially when there is little to gain through upgrades, and this is heading across to the tariffs space as purchasing savviness increases. “I don’t think there are many great telco brands out there most consumers see them more as a utility,” said Ed Barton, Chief Analyst at Ovum. “T-Mobile USA is an exception with their customer champion, ‘un-carrier’ positioning but there no branding even approaching the effectiveness of, say, Apple’s. If consumers are becoming more cash conscious and have perfectly agreeable speeds on their 4G subscriptions, the old telco marketing playbook might have to be torn-up. The big question is whether the ideas are there to make the 5G dream work. Differentiation is key, but few telcos have shown any genuinely interesting ideas to differentiate. One excellent example is over at O2 with its Priority initiative. Through partnerships with different brands, restaurants, gig venues and companies, customers are given freebies every week (a Nero coffee on a Tuesday) or special discounts periodically (£199 trip to Budapest). It leverages O2’s assets, the subscription base, allowing O2 to add value to both sides of the equation without monstrous expense. This has been a less prominent aspect of O2 advertising in recent years; perhaps the team is missing a trick. Another, less successful, example of differentiation is getting involved with the content game. BT has been pursuing this avenue for years, though this expensive bet has seemingly been nothing more than a failure, with former CEO Gavin Patterson heading towards the door as a result. This is not to say content cannot be a differentiator however. The content aggregator business model is one which leverages the exclusive relationship telcos have with their subscribers, streaming-lining the fragmented content landscape into a single window. Again, it uses assets which the telco already has, adding value to both sides of the equation. It also allows the telcos to get involved in the burgeoning content world without having to adopt a risky business model (content ownership) to challenge the existing and dominant members of the ecosystem. In France, Orange is a making a place for ownership of the customers ‘smart ecosystem’, offering new services such as storage and security, while the same play is being made by Telefonica in South America through Aura. These offerings will offer differentiation, as well as an opportunity to make more revenues through third-party services. It’s a tough segment, as it will put them head-to-head with the likes of Google and Amazon’s digital assistants, but it is a differentiator. By having these initiatives in place, marketers have something unique to go to market with, enticing consumers with promises which are genuinely different. Three is a company which is taking a slightly different approach, hitting the consumers appetite for more data as opposed to speeds. Here, the team is leaning on ‘binge-watching’ trends, offering huge data bundles, but you have to wonder whether this is sustainable in the long-run when it comes to profitability and customer upgrades. There is only so long a company can persist in the ‘race to the bottom’. “There are too many claims in an attempt to stand out in a crowded market,” said Paolo Pescatore, Tech, Media & Telco Analyst at PP Foresight. With the ASA chipping away at what marketers can and cannot say, as well as the traditional playbook becoming dated and irrelevant, telcos need to take a new approach to selling services to the consumer. The winners of tomorrow will not necessarily be the ones with the best network, O2 currently sits at the bottom of the rankings but has the largest market share in the UK, but the telco who can more effectively communicate with consumers. 5G offers an opportunity for telcos to think differently, as does the emergence of the smart ecosystem. Other product innovations, such as AI-driven routers, which can intelligently manage bandwidth allocation in the home, could be used as a differentiator, but it won’t be long before these become commonplace. At the moment, all the bold claims being made by telcos, each competing the game of one-up-manship, are merging into white noise. The telcos have lost the trust of the consumer, many of which has cottoned onto the claims being nothing more than chest-beating. The telcos need to get smarter, and it will be interesting to see whether there are any unique approaches to capture the imagination of today’s cash conscious, technologically aware and savvy consumer. Failure to do so, and the telcos might as well start calling themselves utilities.